Today I went Christmas in the Country in Hamburg, NY. This is the largest Craft festival I have ever been to. I have never seen so many artisan’s in one place. I went looking for 2 things in particular and I found both so I am a very happy woman today. I have been striving on completing the package for my Mother In Law’s birthday and believe that today I have achieved that. 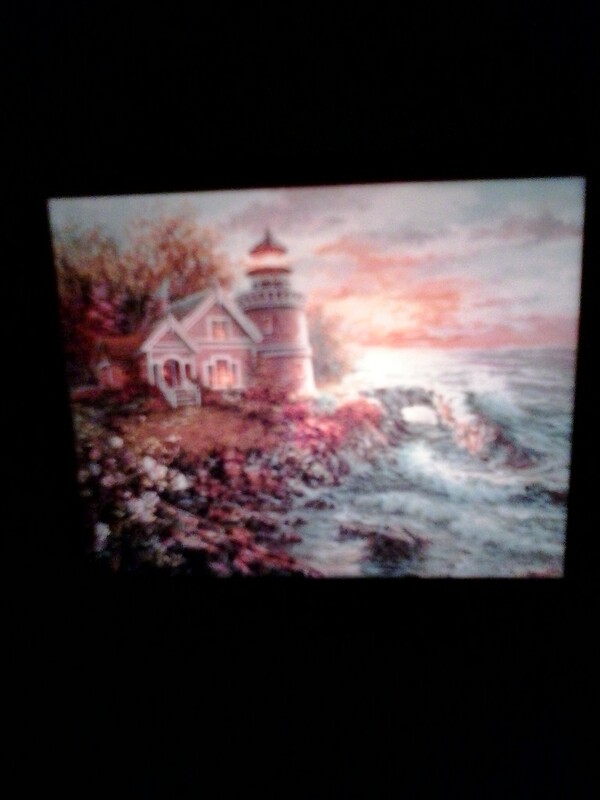 She loves light houses and I was able to find this breathtaking night light that I am certain she will adore. I also am always on the look out for hand crafted soaps. Today I discovered Bath & Bliss a company out of Grand Island, NY (my own backyard). I could not resist their Snow Angel ( chocolate and white musk) and also their Lavender. Lavender is amazing!! I am so excited to try them. This is the first time I will be trying an Olive Oil soap. In the past I have always gone the way of Goat’s Milk. The only think My Love was interested in was Hot Chocolate. I worried as I was told that they were not going to be there. I think I almost did the happy dance when I saw them. Before I knew it I was paying for White Hot Chocolate, Coconut Hot Chocolate and Almond Amaretto Cappuccino. We should be stocked for awhile…best part is I found that they have a website!! Well my dinner guest have arrived and off to be a good hostess! !